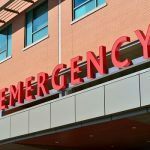 Sacramento Motorcycle Collision — A Sacramento motorcycle collision during the morning hours at an intersection on November 14 left one rider with major injuries as the driver of the vehicle reportedly fled the scene. According to the California Highway Patrol (CHP), a green pickup was said to have left the site of the Sacramento motorcycle collision at a high rate of speed. 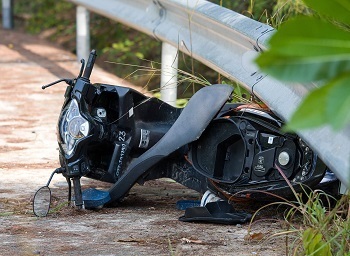 Two motorcycle riders were involved in the accident, the extent of injuries has yet to be reported; however, both riders were wearing helmets at the time of the crash. The accident occurred at the intersection of Lemon Hill Avenue and Sampson Boulevard in South Sacramento at around 8:22 in the morning, causing at least one of the two motorcycles to crash. Sacramento Fire Department personnel, along with paramedics, were called to the scene to assess injuries to the riders. It was reported that two people fled in a pickup northbound on Sampson. It is unknown at this time whether the driver of the fleeing vehicle has been apprehended. The Sacramento motorcycle collision will be investigated by the CHP as to cause. Traumatic brain injuries: Although motorcycle riders are required by California law to wear helmets, in a collision at high speed such as on a freeway, a helmet may not be sufficient protection. The types of head injuries can range from a concussion to more serious trauma such as hemorrhage, hematoma, which is a blood clot, and swelling of the brain to a skull fracture or diffuse axonal injury. Spinal cord damage: Injuries may occur anywhere along the spinal cord. The severity depends on whether the spinal cord is partially or completely severed. In the former, the individual may retain some function. With complete severing of the spinal cord, the individual will experience partial or complete paralysis, which can result in the need for extensive lifelong care. Broken bones: Broken bones are common in all traffic accidents. For a motorcycle rider, the legs and feet are subject to fracture as well as the wrists. However, more complex fractures such as to the hip can occur. Facial injuries: Fractures in the bones of the face and of the eye socket can necessitate hospitalization and in some cases surgery. In addition, broken teeth or damage to the eyes can occur. 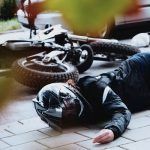 Amputation: Because a motorcycle collision is traumatic and can result in crush injuries, amputation may be necessary when repair isn’t possible. Some accidents result in amputations at the accident site, particularly if one of the rider’s limbs is caught between two pieces of metal upon impact. In this event, a prosthesis may be required and job retraining. In other cases, the rider may be unable to go back to work. I’m Ed Smith, a Sacramento motorcycle accident lawyer. Expenses to a motorcycle rider incurred by an injury caused by a negligent motorist can be recovered. An experienced motorcycle accident lawyer can be of valuable assistance in helping you obtain the compensation you need and deserve. 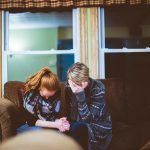 If you or a member of the family has been injured through the negligence of another individual or entity, I can offer you free and friendly advice for your situation. I can be contacted at (916) 921-6400 locally or toll-free at (800) 404-5400. An online contact form is located on my website, AutoAccident.com if you prefer. Million Dollar Forum is composed of trial lawyers, all of whom have obtained a case settlement or trial verdict of more than $1 million for a client. I am honored to be a California member. 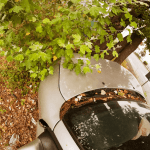 I’ve been honored to serve the residents of Sacramento and Northern California for 36 years, helping them to obtain fair compensation in cases involving wrongful death, all types of car accidents and events resulting in trauma such as brain injuries.